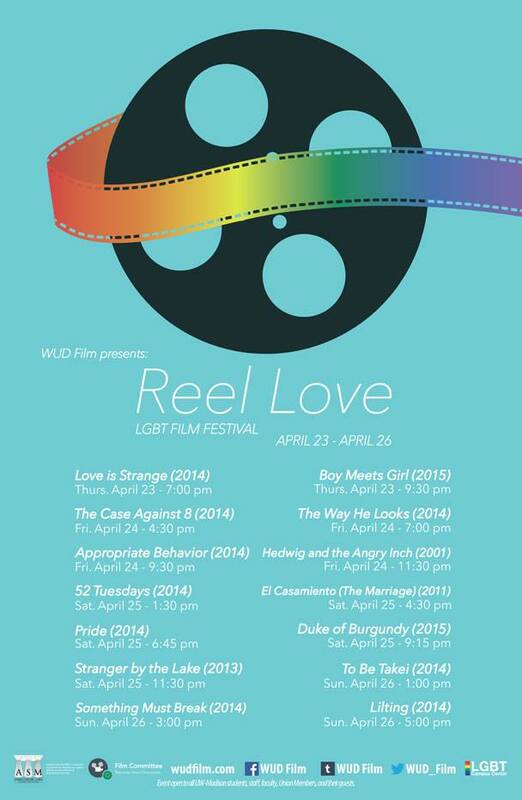 The Wisconsin Union Directorate Film Committee hosts Madison’s only LGBT film festival. The Reel Love Film Festival is for Madison’s thriving LGBT community, students, community members, and the general public. The film festival presents fourteen films over four days that take place at the Marquee Theater at Union South. There will be a wonderful array from classic films to diamonds in the rough and everything in between. We want to celebrate the LGBT community and also educate people on current issues – from discrimination to pride on a global scale. WUD Film is out to prove that “reel love has no gender”. In partnership with WUD Music’s OUTFEST and the LGBT Campus Center’s Out and About Month.